Ready to take the next step in your Yoga practice? Whether you are looking to expand your knowledge of Yoga and take the next step, continue your yoga education with advanced training, or attend modules of interest, we have a training that will fit your needs. We look forward to meeting you, mentoring you and working with you toward your goals and dreams as they pertain to your yoga journey. Welcome to the Yoga Legacy Yoga Community! 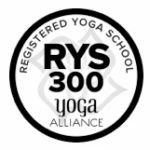 Yoga Legacy™ is a Registered Yoga School (RYS), offering flexible and affordable yoga teacher training programs in the Raleigh/Cary/Garner/Holly Springs/Fuquay area of North Carolina. The Yoga Legacy method provides future instructors with a sound yoga foundation while offering many options to choose your own teaching path and style. Our Program will prepare you to teach well-rounded, safe and dynamic yoga classes. You will learn proper warm-ups, sequencing and different styles of Yoga, leaving our training confident and well prepared to teach Yoga classes. Our training exceeds the minimum requirements of Yoga Alliance, after completing our program, you may register with Yoga Alliance as an RYT. Our programs are suitable for aspiring teachers, serious practitioners, those pursuing a healthy lifestyle, or instructors needing to maintain their current certifications. We are open to everyone! If you want to learn, we will teach you. There are no requirements other than the sincere desire to learn and a true commitment to complete the training. To see if we are the right fit for you, read what our trainees are saying about us...in their own words. Unsure of which yoga teacher training is right for you? Click here to read what to look for when considering a yoga teacher training! You can register for our full program or you can pursue your certification, one module at a time, at your own pace. In all our training, we place a strong emphasis on proper posture alignment and accurate pose execution utilizing a safety map approach to the Hatha, or physical aspect, of the Yoga Legacy method. When choosing a Yoga School, make sure you understand all that is required and offered in each training, including full cost and hours associated with each Yoga Teacher Training program. The Yoga Legacy 85 and 200 Hour Teacher Training Program Pricing includes everything you’ll need. There are no additional workshops/classes to attend or books to purchase. See our Yoga Teacher Training Comparison Chart to realize the differences and educate yourself on what questions to ask when making your decision. A portion of registration fees are used to support our community. Children's Yoga Basics learn to teach Children's Yoga/Family Yoga. Standup paddleboard (SUP) fitness & yoga training! We are offering SUP yoga teacher training April 27-29, 2018. Space is limited. Register now. UNC Rex Wellness Center in Garner is our newest location for RYT200 training. Seva yoga award program offers reduced prices to those who want to bring yoga to under-served people in their communities. First responders and teachers get a reduced price and can pay over a longer period of time. Veterans and self-pay military receive a reduced price and can join our Military Affiliate Program. We offer condensed schedules and discount pricing, suitable to military personnel and their spouses. Register early for our classes! Check out our schedules and special offers to take advantage of the early payment and holiday discounts. The Yoga Legacy staff boasts a wide range of skills and training. View our photo gallery and see our students at their best.